Good weather or bad, we know parents can often look on in despair as the precious school routine blows away. This can be especially hard if your child suffers from attention issues or copes better within a routine. If you follow us on facebook or twitter we will be sharing tips to keep your troop active and focused this summer. It’s not easy but we are here to help. Please share your tried and tested summer survival tips with us! Don’t forget to check out our Zip game which teaches your child how to improve their focus through smart gaming. 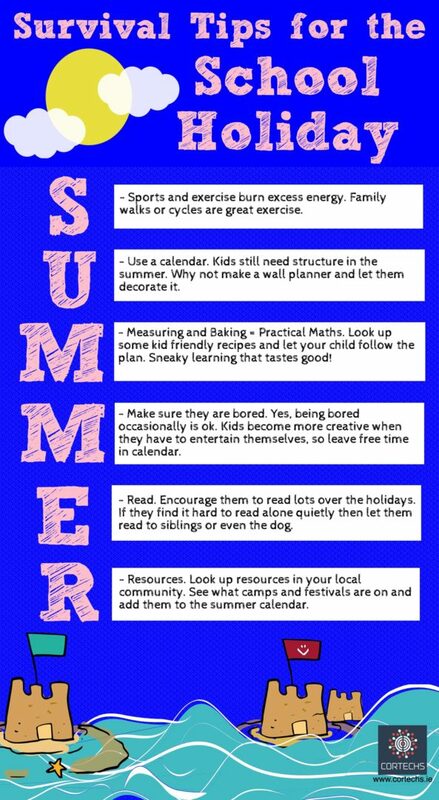 Summer is a great time to train your brain. Click here to learn more. Here are our Survival Tips for Summer. What are yours?